Noosa Place Resort is a well established 4-star resort, consisting of stylish 2-bedroom, 2-storey, fully self-contained apartments. 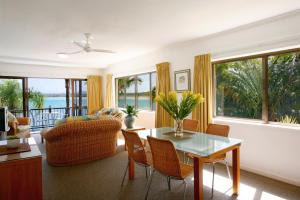 The resort is ideally located, only a short stroll from the beautiful Noosa River. The river offers some of the best swimming, fishing and boating facilities available. Gympie Terrace with it's cosmopolitan restaurants and cafés, is on the your doorstep. Enjoy the tropical, peaceful surroundings the resort has to offer, as well as it's 3 pools - 2 of them heated - and 2 hot spas. all are in beautiful tropical surroundings. Play a game of tennis, whilst taking advantage of the central location. 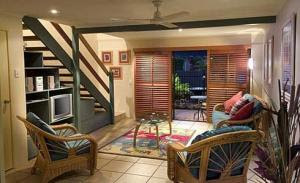 Macquarie Lodge Noosa Heads enjoys a peaceful tropical setting with easy access to all of Noosa's main attractions. It offers a range of spacious, bright apartments with large sunny balconies. The 1, 2 and 3-bedroom apartments of Macquarie Lodge Noosa Heads have everything you might need for an entertaining and comfortable stay. They feature modern audio-visual equipment, full kitchen and laundry facilities, air conditioning and free Wi-Fi. From you balcony, you can enjoy a variety of views over the grounds, the city or Laguna Bay. 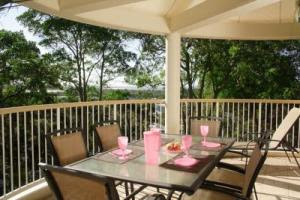 Macquarie Lodge Noosa Heads offers barbecue facilities and secure private parking. The pool area is perfect for relaxation surrounded by lush, tropical greenery. Located 1 kilometre from Hastings Street and Main Beach, the complex is the idea base from which to enjoy Noosa's fun and cosmopolitan atmosphere. You can also explore one of Queensland's most beautiful National Parks. A quiet, 4-star property of self-contained apartments and penthouses on the Noosa River, Culgoa has its own private beach, and kayaks to move around the Noosa waterways. Rejuvenate at the spa and sauna. Have a relaxing swim in the heated swimming pool. When ready to go out, ask first at the tour desk, for advice. It's an easy walk to Hastings street, the main beach, and the National Park and Gympie terrace. Complimentary marina berths available for guests with boats. Born in Milano and raised in Australia, Alessandro has spent extensive time living and working in Italy and is the Executive Producer of the Official Italian Week festival in Queensland, an Initiative of the Italian Consulate. Fiat Car club as part of the Italian Motor Expo 2009 Elio Moda provided the fashion and flair Beatiful and cars.